Comparison of the nuclear powered Daedalus spacecraft and Saturn V Moon rocket. 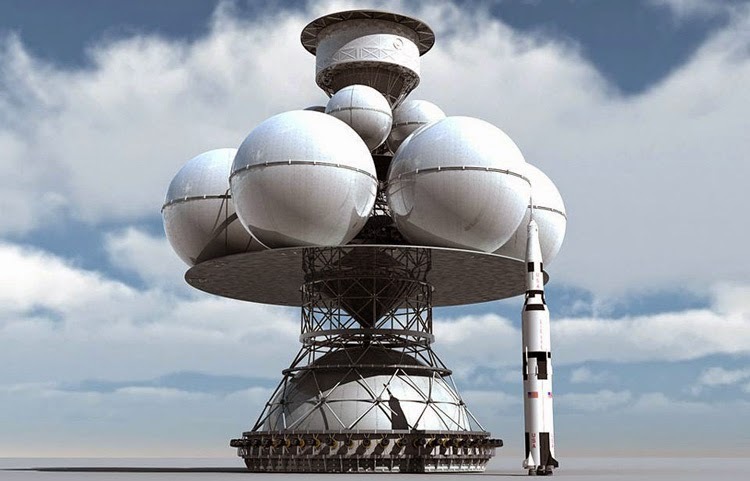 For more than a century, scientists and sci-fi visionaries have been imagining spaceships traveling to the moon, other planets, and the distant stars. Today, we still conceive of sleek vessels performing aerodynamic maneuvers in a weightlessness vacuum far above the surface of a planet. But we shouldn’t casually compare visionary spaceships to existing terrestrial aircraft that are burdened with air breathing engines, smooth surfaces and wing flaps. True spaceships don't soar through the air like birds. A spacecraft needs a tremendous amount of thrust just to get off a planet. It also must travel millions of miles between destinations. The NASA Space Shuttle -- a fantastic piece of equipment -- was mostly an aerodynamic box strapped to a big rocket. After each mission, the Shuttle fell back to Earth like a carefully aimed brick. During its career, the Shuttle had notable achievements, but it was not a true spaceship. Designing a spaceship requires thinking differently. For instance, using nuclear energy to power a spaceship has been a concept on drawing boards since the 1950s. There have been many variations of craft that mobilized the atom to fulfill humankind's ambitions to leave the planet. 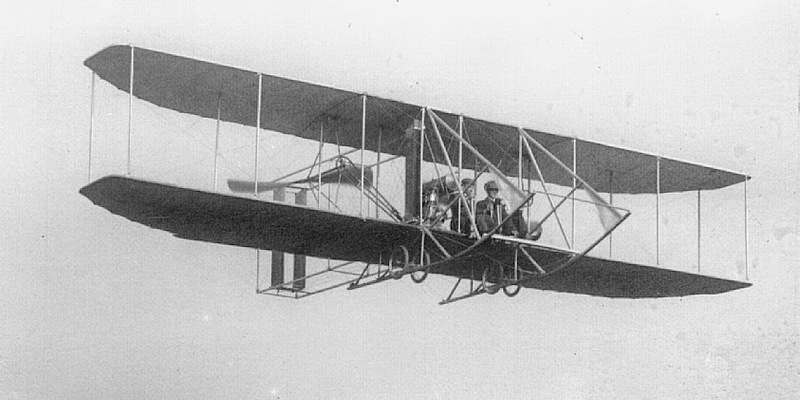 These inventions were not flimsy "airplanes" rising on plumes of burning petroleum-based fuels. A spaceship had to do more than reach several thousand feet into the sky and glide back to Earth. Spaceships that carried humans into space were huge mechanical monsters that required the resources of a major superpower. Space agencies relied upon chemical rockets burning tremendous amounts of liquid fuels to create enough thrust to break the bounds of gravity. Other ideas came into play. The "nuclear pulse rocket" was seriously considered by scientists in America, Russia and Great Britain. The force of a series of nuclear explosions could push a vehicle off the planet and into space. Once in orbit, additional nuclear explosions could push the spaceship to other planets. Project Orion, on paper, would have been more powerful than the Saturn V rocket that took the Apollo program to the Moon. Orion could travel to the planet Mars and back in four weeks. NASA's 21st century chemically propelled spacecraft need 12 months to get to the Red Planet. Orion would have possessed a crew of 200 and weigh several thousand tons. The technology had been available before the first episode of Star Trek aired in the 1960s. The problem of course was nuclear fallout and protecting the crew from dangerous radiation during flight. Nuclear treaties and atomic bans prevented such a craft ever being built and flown from Earth. A better idea was to construct a ginormous nuclear-powered spaceship in orbit and not risk polluting human cities and towns with deadly radiation from nuclear fallout in the exhaust of the engines. Thus, Daedalus was born, almost. Daedalus would use nuclear fusion instead of fission -- thermonuclear "hydrogen" bombs using fusion were much more powerful than "uranium" fission bombs. The Daedalus specifications called for an unmanned spacecraft to reach a nearby star in 50 years. The craft would speed up to a substantial fraction of the speed of light and coast. Robotic probes would detach at the destination and send data back to Earth. Without slowing down, Daedalus would then continue on to other stars. Humans would become an interstellar civilization. However, we haven't mastered the art of controlled nuclear fusion, yet. For this reason, Daedalus is still on the drawing board. In development are other forms of propulsion using the nuclear forces. For instance, the ion propulsion used by NASA’s Dawn spacecraft couldn’t lift a child’s kite off the ground. In space, ion engines can accelerate a vehicle to astonishing speeds. Dawn is now investigating several large objects in our solar system. Fantastic photos of asteroids and dwarf planets such as Ceres are being beamed back to Earth. Modern aircraft are great for gliding through the air, performing aero stunts or defending our national interests. Indeed, most sci-fi space opera are recreations of World War II battles in the Pacific Ocean -- aircraft carriers, agile fighter planes, hidden submarines and thundering battleships. This scenario is exciting, high drama. But this not how flight would occur in outer space with our present technologies. Our apologies to Battlestar Galactica; it is doubtful that Viper fighters could operate in outer space, land on a planet and takeoff again in a single engagement -- not enough fuel. Likewise, the Star Wars Millennium Falcon could not execute a perfect barrow roll (no air in space), then jump into hyperspace (FTL? ), survive a fiery reentry onto a planet and park itself on a floating city. These are fantastic dramas, but not good science as we understand it, today. The bottom line, fiction may not adhere to fact, but it inspires us to greater innovations. For this reason, a jet plane is not a spaceship, yet. 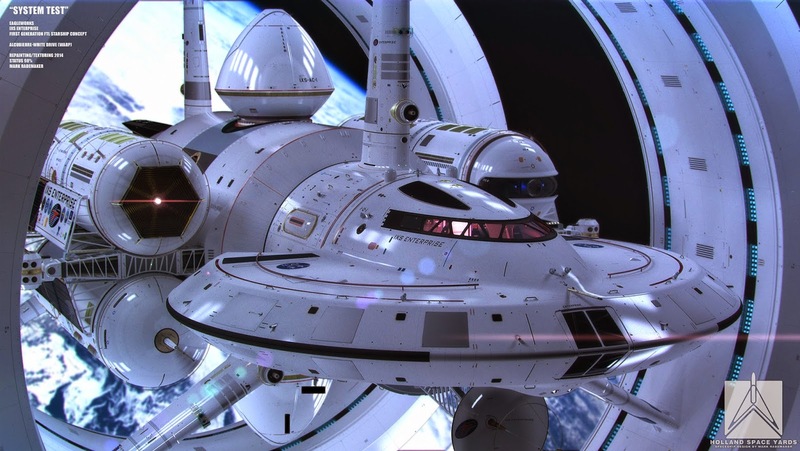 The excitement in science fiction stories is heightened when writers heed the problems of space travel and offer stories using novel solutions for survival outside of Earth’s atmosphere and gravity. Too often, our sci-fi stories and space operas are merely World War I and II naval battles or wild west yarns with ray guns. In reality (pun intended), an interplanetary or interstellar transport is not a jetplane nor an aircraft carrier. Spacecraft do not zoom and swish in the vacuum of space. They don't bank and do barrel rolls. Battlestar Galactica's titantic fleet battles between the robotic Cylons and human colonists are merely reproductions of warship engagements in the South Pacific. Sci-fi also frequently invokes images of solitary clipper sailing vessels seeking distant ports such as in Star Trek’s Voyager explorations or even the 1960’s Lost In Space. On 18th century Earth, humans perceived a voyage from England to China as we would ponder crossing the void to Alpha Centauri — our closest stellar neighbor. It can be considered hard and dangerous. I would be the last person to bemoan that science gets in the way of creating entertaining and thought-provoking sci-fi, but there are opportunities to make the science of space travel just as intriguing and dramatic as the main storyline. For instance, Sci-fi fandom easily can embrace Scotty’s frequent lamentation, “Captain, she’s breaking apart, we can’t go any faster! The warp field is collapsing.” Likewise, in Star Wars, there was a dramatic moment when the Millennium Falcon’s hyper drive malfunctioned thus endangering a clean escape away from the enemy. We don’t need to understand all the “nuts and bolts” but the technology should be included in the storyline. We can cheer for the hero, curse the villain and be astonished by the tech that drives the story. The proper use of science elements disquishes a mediocre tale from an inspiring sci-fi adventure. 2001, A Space Odyssey was one of the best films ever produced to combine fiction with emerging technology. HAL, a mechanical device dominated the climax of the story. Therefore, writers should understand why a spaceship is not an atmospheric bi-plane nor a deep sea submarine nor a Pacific battleship riding the waves. The incorporation of the physics, machinery and intricacies of space travel can create richer stories that readers will appreciate and buy. The first aspect is propulsion — you have to get off a planet and travel ginormous distances to reach your destination that could take centuries with conventional means. So, we have to expand our intellectual horizons. Moving the plot forward, means moving the spaceship faster than the speed of light. Or, allow a ship to crawl between destinations — perhaps for hundreds of years. What happens to the crew and passengers trapped inside a metal can? Ark and generational spaceships are a staple among sci-fi writers. People first used rafts or canoes using human power (paddling) to cross the river; later, cloth sails captured the wind to traverse lakes and seas. Eventually, steam engines, internal combustion (gasoline/diesel) and nuclear energy were used to roam the globe from pole to pole. Columbus took months to reach the new world. Today, New York to Paris is only a few hours in a soft, reclining seat. Jules Verne launched his intrepid astronauts to the moon using a giant cannon in 1865. The energy involved would have pulverized the crew but it was good reading. There was a plan in 1961 (Project HARP) to launch satellites into earth orbit using a sophisticated space gun. The U.S. government was very serious about tossing fission bombs out of the tail end of a spaceship to achieve a tiny fraction of light speed. The recent SyFy TV series, Ascension, was inspired by the real-life Project Orion. Scientists put their faith on enormous liquid fuel rockets to get to the moon. The world’s spacefaring governments are examining exotic and safer means to travel the distance between the planets and eventually reach the stars. A blackhole could be used to power a spaceship. Antimatter propulsion is being investigated. The trip to Mars could be reduced from years to days. Mae Jamison’s 100 Year Starship program held a symposium in September 2014 to discuss the possibilities of reaching our closest stellar neighbors. The era of big, noisy chemical rockets will soon be over. That is how Sci-Fi writers can inspire us. In this blog series, “A Spaceship is not a Jetplane”, I will explore the technologies of futuristic space propulsion and offer a fictional tale that incorporates the dangers and benefits of that technology. The first sci-fi tech/tale is called “Riding a Nuclear Pulse” — using atomic bombs as the primary energy for a spaceship. So, what would have happened if America had decided to launch space rockets using atomic weapons? Would it poison the planet? Read about the consequences in Part II: A Spaceship is Not a Jetplane.